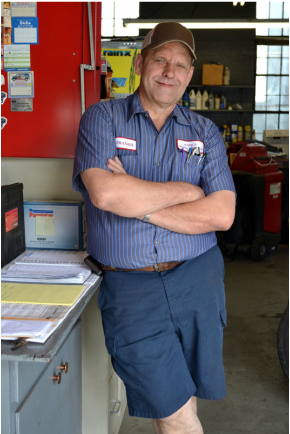 Frankie Page brings over 15 years experience in servicing cars, most recently as owner of Melvin's Gas and Service Center on Church Street. In 2014, Mr. Page moved his shop to the corner of Parallel and Spring (formerly Ritchie's Auto Service) in order to focus solely on car repair. He and his team of Professional Mechanics offer over 43 combined years experience in servicing vehicles and building relationships in the local area. All natives of Cabarrus County, the team at Page's Auto Service are dedicated to their clients, and they look forward to meeting you, too. Red Posey has been working on cars for over 17 years, primarily at this current service center when it was Ritchie's. His long-time customers return to Red year after year for his knowledge, his experience, and his high service level. You want someone you can trust? Take your vehicle to Red at Page's Auto Service. When Frankie decided to move his business from Melvin's over to this new location on Spring Street, he knew he wanted to bring his top talent along. Bobby Talbert is that talented mechanic who has been working with Frankie for over 11 years. Customers enjoy Bobby's on-target work, and can count on his top grade service level. 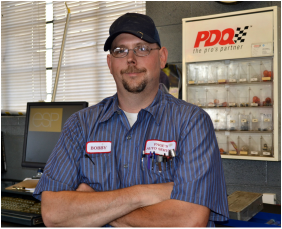 Your car is in good hands with Bobby at Page's Auto Service.